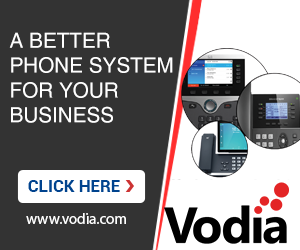 I have a Panasonic PBX which i am registering one registration to the vodia system, but I have 100 DID's, and I want the Vodia system to sed the calls to my PBX with the DID in the invite instead of inviting the extension number. Is this possible? or whats the best way to do sip trunking with DID's on this system? I can think about several options here. First there is a way of "trunk-to-trunk" routing, where the PBX passes calls through the system from one trunk to another. The typical scenario for this would be a multi-national company that has local PSTN breakouts that the different offices are using to save phone costs. The other option that I can think about is a flag in the domain that instructs the PBX to leave the To/From headers as they are. That gives the registered Panasonic PBX the chance the see where the call was going to. Having a hundred or a thousand DID is no problem for the PBX. I would use a text editor to make the editing easier instead of punching them one by one into the input field in the web interface: First edit the text or CSV file, then re-format everything into one line and copy & paste it into the web browser. How would i do option 2. Where do you see this setting? In the domain settings (dom_settings.htm) there is section From/To Headers. Set the "Change names in To/From-headers" to "No".